Shalom. Our teaching this morning will be from Exodus 15.1-8. This song of course celebrates GOD’s defeat of the Egyptians at the Red Sea, and projects the wonderful enthusiasm of the people over their miraculous rescue from death and disaster; the defeat of Pharaoh and his armies, and their ongoing journey to the Promised Land, Eretz Y’Isreal, the Land of Israel. Who is like you O LORD among the gods? Who is like Thee, glorious in holiness, fearful in praise, doing wonders? You stretch out Your right Hand, the earth swallowed them. You in Your mercy have led forth the people which You have redeemed. You have guided them in your strength to Your holy habitation. The LORD will reign forever and ever, for He has triumphed gloriously. The horse and his rider has He thrown into the sea. EXODUS 15.1 We sing to The LORD often to express our praise to The LORD our GOD, our thanksgiving and our adoration for Him. We honor Him. We sing to The LORD our GOD in triumph when He delivers us from problems and stress. We sing to The LORD because of our love for Him and we rejoice over Him. And in all the emotions of life, we sing to The LORD our GOD and praise Him. I will sing praises to The LORD because He has dealt bountifully with me. The horse and his rider has He thrown into the sea. Yes, The LORD will always rescue you and save you. EXODUS 15.2 Whether you know it or not, The LORD your GOD has created many miracles for you throughout your life. He is your Salvation, Yeshua is your Deliverer. You can trust in Him and never be afraid. He is your strength and your song. Meaning, And to me He is for Salvation, for deliverance, for rescue and safety. I will prepare Him a habitation in Hebrew is: VAY AHN VAYHOO meaning I will glorify Him. EXODUS 15.3 GOD is a warrior, a man of war. He is our Deliverer and Salvation. GOD appointed Deborah the prophetess, and Barak the commander of the armies of Israel to destroy the enemies of Israel. And Jael, or in Hebrew YAHALE, the wife of Heber, a Midianite, and a descendant of the family of Moses. And she killed the commander of the Canaanite army. And after their victory, Deborah and Barak sang to The LORD, saying praise ye The LORD for taking revenge on the enemies of Israel. And yes, The LORD is a man of war. Yehovah is His Name. In Hebrew YEHOVAH SHEMO, Yehovah is His Name. EXODUS 15.4-6 When The LORD delivered David from all his enemies, and from the hand of King Saul, and as GOD saved the children of Israel from Pharaoh’s armies, The LORD saved David. And The Bible says, David spoke to The LORD the words of this song. 2 SAMUEL 22.1-7 etc. The Song Moses and the children of Israel sang reads, Your right Hand, O LORD has become glorious in power. Your right hand, O LORD has dashed in pieces the enemy. They sing The Song of Moses. And yes, one day you and I will sing The Song of Moses in Heaven with millions of others, with angels and saints, those holy in The LORD. Who is like unto You O LORD among the gods? Who is like You, Glorious in holiness, fearful in praises, doing wonders? GOD appointed Moses to become a great leader of the children of Israel, the Jewish people. And GOD also appointed Moses to be His lawgiver. That is, GOD told Moses His Words and His Laws, and Moses told them to the people to hear and obey them. And we are taught from The Bible that GOD HAS ONLY ONE LAW, THE LAW OF MOSES. And His Law is for the angels in Heaven, and all mankind on earth. Even GOD Himself is accountable to His Word and Law. GOD is obligated to live by His own Law, The Law of Moses. He exalts His Word above all His Name. Psalm 138.2. And we too should live by GOD’s Word and His Law. VERSE 4 Hearken means listen and obey Me. My judgment is GOD’s decisions and sentences according to Torah. For a light. The Law is light, Proverbs 6.23, for the people. VERSE 5 GOD’s righteousness, which is in The Law will never be abolished. It will never end or change. VERSE 7 Those who know righteousness have GOD’s Law of Moses in their heart, even today. VERSE 9 The Arm of The LORD is Messiah Yeshua. VERSE 10 The ransomed are those GOD delivers and redeems. VERSE 11 The redeemed are those whom GOD rescues and delivers. EXODUS 15.14-18 VERSE 14 Palestina is the Philistines. The Hebrew is PEH LAH SHET, meaning Philistines. The LORD shall reign forever and ever. The LORD is Yehovah, Yeshua The Messiah, The King Who will reign forever and ever. He is your Deliverer and Saviour. We read of another Song of Moses. But this song The LORD commanded Moses to write, and teach it to the children of Israel. The time was just prior to the death of Moses when he had completed writing the Words of GOD’s Law in a Book. The Book is The Torah from Genesis to Deuteronomy that includes GOD’s Law, His teachings and His instructions. And Moses had The Book of The Law placed in the side of the Ark of the Covenant for a witness against the children of Israel. The Law being a witness against them when they forsake GOD and break His Word and His Law; evil consequences will follow. But for those who hear GOD and obey His Voice, Paul writes, they will be justified because the Truth is in The Law, Romans 2.13, 20, and blessings will follow, Leviticus 26. DEUTERONOMY 31.16-19 VERSE 16 GOD’s Covenant is His Word and His Law. Psalm 105.7-10. VERSE 4 All His ways are judgment – All GOD’s decisions and sentences, good or bad are according to His Law, the Law of Moses. VERSE 15 When breaking GOD’s Law, GOD sees that disobedience as despising Him. VERSE 20 Faith is belief in GOD, and obedience to Him. Let’s look at Deuteronomy 32.1-2, Very important words. DEUTERONOMY 32.1-2 GOD has given us laws and doctrines, and teachings for all His Creation. They are for the angels in Heaven, and every human being on earth. GOD Himself is obligated to live by His own doctrine. Why not us also? bsp; But opposition to His Law brings trouble, sometimes evil. The LORD GOD chose the Jewish people to be His witnesses, Isaiah 43.10-12, to write The Word of GOD, and His Law in The Bible, for all the world. But yet, the majority of mankind oppose it, and reject it. Why? Genesis 3.15 gives us the answer. GENESIS 3.15 These words spoken by GOD came immediately after Adam and Eve disobeyed The LORD doing what He told them not to do. Don’t eat the fruit from a certain tree. But satan, as everyone knows, tricked them into disobeying GOD. And GOD said to satan the serpent, I will put enmity between you and the woman, that is, I will put hatred and hostility between you satan, and the woman. The woman is Israel, the Jewish people, see Revelation 12.13. And between your seed satan. satan’s seed are the demons and Jew-haters. And her seed, the seed of the Jewish people is Messiah Yeshua, Galatians 3.16. And Messiah is GOD Almighty. It shall bruise your head. Messiah will deal a death-blow to you satan, 2 Thessalonians 2.8. He will destroy you. And you satan will briuse the heel of Messiah. You will crucify Him, and you will cause trouble and persecution to His people, the Jewish People. But that will all be temporary. These words have always intrigued me because it is GOD Himself Who has put enmity and hatred between satan and the Jewish people, and between satan’s demons, the anti-Semites against the Jewish people. Read Jewish history. Read the newsapers today about Israel. But why? Why the enmity and hatred of GOD’s Chosen People? The word enmity in Hebrew is AYVAH meaning hatred and hostility. Enmity means a deep-seated dislike, and ill feelings for the Jewish people. And that enmity brings wars, many wars against the Jews because of satan’s hatred for the Jewish people. But listen to this – Enmity also means OPPOSITION to the Jews, and to their laws, The Laws of GOD that are The Law of Moses. satan opposes GOD’s Laws. satan rejects GOD’s Law of Moses. And as satan tricked Adam and Eve to disobey GOD, he has tricked the world to disobey GOD, and oppose and reject His Law of Moses. 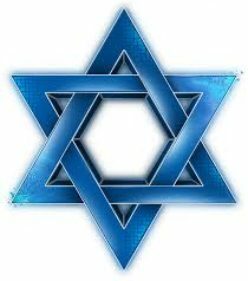 The Jewish people are GOD’s Chosen People. GOD gave birth to us, Deuteronomy 32.18. GOD appointed us to be His witnesses to the world to reveal His Word and His Law to the world. And we accomplished that in The Bible, in The Old and New Testaments. And when the nations, and even some of His Jewish people hate the Jews, and oppose GOD’s Law, they in fact hate GOD, and oppose Him…I believe this also is PART of GOD’s plan of Salvation, for Yeshua The Messiah, Who is GOD Almighty, said in Matthew 22.14, for many are called but few are chosen. Many are “invited” but few are chosen. Few are selected and elected. That is why it is so important to obey GOD, and His Law of Moses. The gate is narrow, Messiah said, and few enter into it, few enter into the Kingdom of Heaven. Few find it. Few enter Heaven because they oppose God by rejecting His Law of Moses. That’s why it’s so important to obey GOD, every Word that proceeds out of His Mouth, Matthew 4.4, and that includes His Law of Moses, if you hope to enter into the Kingdom of Heaven. Read Matthew 7.21-23, the Words of Yeshua the Messiah. So let’s close on these words of Scripture that Messiah taught in JOHN 14.21-23. Obedience to God’s Commandments and Law is required to receive the Holy Spirt, and to enter into His Kingdom. And that is why it is so important to keep GOD’s Law, The Law of Moses, and obey it: that is the teaching of the Song of Moses in Deuteronomy 32. Therefore, it is critical that you are not part of the enmity against Israel and the Jewish People. The Lord your God teaches you to bless His People, the Jewish People, and obey the Laws of GOD, the Law of Moses. Shalom. Our teaching and message this morning will be about The LORD’s deliverance of the children of Israel from the raging Egyptian armies that had set out to kill the people at the Red Sea. But of course The LORD had other plans. And likewise, The LORD your GOD will always, as He did for the children of Israel, deliver you from all your troubles because you are special to The GOD of Israel, and He loves you with an everlasting love. He will always rescue you, and find a way of escape whenever you find yourself in trouble or distress. Believe it. Your GOD will deliver you as He did the children of Israel, because our GOD is a GOD of miracles and powerful. His eyes are upon the righteous, and His ears are open to their cry. And He will deliver you out of all your troubles, and out of all your afflictions. So with that said, let’s turn to Exodus 14.13-16. GOD had hardened the heart of Pharaoh and his armies, and He moved them to charge after the Jews at the Red Sea. Israel, the children of Israel was now a great nation of some 3 million people and a mixed multitude of non-Jewish people. And Pharaoh was out to hunt them down and slaughter them all. And the Egyptians caught up to the people at the Red Sea. And they had chariots and horses and men on horseback, and weapons. Perhaps the mightiest army in the world at the time. But the children of Israel had the Mighty GOD of Israel. And the people were frightened, and they cried out to The LORD. Many wanted to return to Egypt. And Moses spoke these memorable words to the people, words that apply to you and me when we find ourselves in trouble. Fear not, Moses said, and see the Salvation of The LORD. EXODUS 14.13 This is a time in Jewish history of one of Israel’s great deliverances by The LORD their GOD, the Mighty GOD of Jacob, Salvation. This time from the iron fist of the Egyptians after 400 years of slavery. It was the appointed time to leave Egypt for the Promised Land, the Land of Israel. For The LORD GOD had chosen the Jewish people to be a holy people, to be His witnesses to the world. The birth of the Jewish people, who are the children of Israel, happened some 4,000 years ago when GOD, Who is Yeshua The Messiah, Yehovah, called Abraham and his wife Sarah out of the Gentiles to create a people to be His witnesses to the world, His servants whom He has chosen to be a holy people. Isaiah 43.10, Deuteronomy 7.6. And now, The LORD appointed His servant Moses to lead the people to the Promised Land, as GOD had promised Moses, to bring the people up out of the afflictions of Egypt to a land flowing with milk and honey, Exodus 3.17, which is the glory and most beautiful land in all the earth. Ezekiel 20.6, to be their land for an everlasting possession. Genesis 17.8. And we all know what The LORD did to rescue, protect, and deliver His people Israel from certain death, the Salvation of The LORD. GOD opened the ocean for the people to cross on dry ground. This is one of the great miracles of history. But let’s read the account from The Bible. EXODUS 14.14 The LORD will fight for you. Remember those words always when you are experiencing trouble in your own life. The LORD will fight for you. In this stressful situation the word fight has a terrifying meaning to Israel’s enemies, Pharaoh and the Egyptian army. And likewise, The LORD your GOD will always fight for you, and do what is necessary to save you, and rescue you. The word fight, as in GOD will fight for you, comes from the Hebrew word LAH KHAM, meaning to consume, as in death, and destruction, as in death. GOD did fight for Israel, and He destroyed the Egyptian armies and eliminated them to save His people Israel. Salvation. And you shall hold your peace, Moses told the people. In Hebrew, TAH KHA REE SHONE, meaning be silent, don’t speak, be still. EXODUS 14.15 Go forward, even with the Red Sea in front of you, and the Egyptian army behind you. Go forward, GOD said. For us, the Believers in The Messiah Yeshua, followers of GOD Almighty, we too are to go forward in our lives with The LORD our GOD. Even with the opposition we face. Go forward. Learn of The LORD GOD. Learn His Word and His Laws. Learn what sin is and avoid it. The Bible teaches that sin is breaking The Law of Moses. 1 John 3.4. Learn about GOD and lead your life according to His Holy Word. Do not fall in love with the present world, but remain tight with The LORD your GOD, Who is Yeshua The Messiah. Walking with Him, loving Him, and clinging to His Word. Yeshua is the Lawgiver, GOD Almighty The King Who saves us. Go forward in your life with The LORD your GOD. VERSE 60 Let the dead bury the dead. Both are spiritually dead, both in darkness, neither knowing The LORD GOD, and neither doing or did the will of the Father which is in Heaven. Let the dead bury the dead. VERSE 62 Walking with The LORD, going forward requires change in your life. The change must be holiness, righteousness, GODliness, be law-abiding, being obedient to GOD and His Laws, His Law of Moses, with love. Returning to the past, doing those things you did in the past, Yeshua says, you are not fit for the Kingdom of GOD. You are not fit to walk with GOD. Thus go forward and lead a GODly life in love… Being religious, and having a relationship with The Almighty GOD, Yeshua The Messiah, are two very different walks. EXODUS 14.16 Divide the sea, The LORD said to Moses, and the children of Israel will go on dry ground. EXODUS 14.17-18 GOD hardened the hearts of the Egyptians. He seized control of their hearts and minds and moved Pharaoh and his armies to attack the Jews at the Red Sea. And GOD brought glory and honor upon Himself that The LORD alone is GOD. GOD is to be honoroed and glorified always. He is to be worshipped and magnified. His Name, Yehovah should be praised in the beauty of Holiness, for Holiness is beautiful. Praise Him for His wonderful acts. Praise Him for His greatness and power. Praise Him for His victories and majesty. Everything in Heaven and earth is His. He is exalted as Head above all. He has exalted His Word above all His Name with lovingkindness and truth. Both riches and honor are from GOD, and He reigns over all. And in His Hand is to make great, and to give strength to all. His glorious Name is to be praised forever. He is The GOD of Israel, The Mighty GOD of Jacob, The Messiah Yeshua, for He has created all things, and for His pleasure they are created. For our GOD is Holy. Glory, and honor, and power belong to The LORD our GOD. Praise ye The LORD. EXODUS 14.19 The Angel of GOD in this picture is GOD, He is Yeshua The Messiah. And He went before the camp of Israel. Next, He moved and went behind the children of Israel. And The Bible says, the pillar of cloud went from before Israel and stood behind them. And The LORD was in a pillar of cloud by day to lead them, and by night He was in a pillar of fire to give them light to go by day and night. That was the PRESENCE of GOD, The Manifestation of GOD Almighty. Thus GOD appeared in different manifestations. That is, He revealed Himself in different ways to the children of Israel. Messiah. In GOD’s Manifestation, He reveals Himself as in the SHEKYNAH GLORY. He is brought into view by His Manifestation. EXODUS 13.21 The LORD was IN a pillar of cloud to lead them in the day, and He was IN a pillar of fire to lead them by night. Different manifestations of GOD. His manifestations are His Presence, and His Appearances, brought into view. NUMBERS 14.10-14, 20 Another manifestation of GOD is His Glory, His Shekynah Glory. That is GOD Almighty, Yeshua The Messiah. It can be said that Yeshua The Messiah is a manifestation of GOD. Yeshua is The Presence and Appearance of GOD Almighty because Yeshua is GOD Almighty. The Father in Heaven. EXODUS 14.20-21 Yes, we all know that GOD opened the ocean. And we take it for granted, but we shouldn’t. GOD is a GOD of miracles and wonders and His miracles can be worked in your life for GOD’s purpose and for your good. EXODUS 14.22-30 So the children of Israel, some 3 million strong, went into the sea on dry ground and not mud. And the waters were walls to them on their left hand and right. And the Egyptian army charged after them on horseback and in chariots into the sea. And in the morning, The LORD GOD looked to the Egyptian army through the pillar of fire, and the cloud. And He destroyed the entire Egyptian army almost in the twinkling of an eye. He took off their chariot wheels, and the battle was over and the Egyptians screamed in teror, let’s run from the face of Israel because The LORD fights against us. And The LORD said to Moses, stretch out your hand over the sea that the waters will come again upon the Egyptians. And the ocean fell on the Egyptians and covered them, and there remained not so much as one Egyptian left. But the children of Israel walked on dry ground. Thus The LORD saved Israel that day out of the hand of the Egyptians. Salvation. And Israel saw the Egyptians dead on the seashore. A great, great deliverance. EXODUS 14.31 Fearing GOD means just that, fear GOD. And when you fear GOD, you will obey Him, even out of fear. And that’s what GOD wants. The Bible says, fear GOD and keep His Commandments, for that is the whole duty of man. ECCLESIASTES 12.13. Fearing GOD and doing what He says sounds like an easy thing to do. After all, we have our Bible as our reference as to what GOD says, what we should do, and what we should not do. But it’s not as easy as that because we have Bible teachers, and Bible preachers, evangelists, pastors, rabbis, reverends, fathers, priests, leaders, elders, cardinals, etc., etc. Many with Bible degrees, and doctors of theology. They teach in churches, synagogues, houses; they’re on radio, T.V., in movies, and on websites, in newspapers and magazines. In books and commentaries, in tracts, in Bible studies, in casual talk. All teaching a variety of their beliefs on what The Bible says. All with different interpretations of The Bible. So what are we to believe? Yeshua is GOD. Yeshua is not GOD. Yeshua is The Messiah. Yeshua is not The Messiah. Yeshua is GOD, but He’s not The Father. Yeshua is GOD, and He is The Father. The Law of Moses is dead, not in force today. The Law of Moses is NOT dead, but in force today and always. The food laws are done away with. The food laws are not done away with. Sabbath is Saturday. Sabbath is Sunday. Sabbath is any day you choose. What to believe? Christianity has replaced the Jewish people as GOD’s Chosen People. Israel and the Jewish people are still GOD’s Chosen People, and always will be. There is a rapture. There is no rapture. The rapture happens before The LORD returns; after His return, at His return. It never happens. What are we to believe? Messiah is a Man only and not GOD. Messiah is GOD. He was also a Man on earth. Yeshua is Jewish. Yeshua is not Jewish. GOD is Jewish. GOD is not Jewish. Christmas and Easter are GODly holy days. No they are not. The Festivals of GOD such as Passover, Tabernacles and the Saturday Sabbath are only for Jews. The Festivals of GOD are for everyone. What are we to believe? The trinity is right. The trinity is wrong. GOD’s love is unconditional. GOD’s love is conditional. Sin is tolerated by GOD because He is a loving GOD. Sin is NOT tolerated by GOD because He is a loving GOD. You can never lose your Salvation. You can lose your Salvation. You must speak in tongues to be saved. Nonsence. The anti-Christ, The LORD’s return, the end days, Heaven and hell, food, holidays, Christmas trees, Easter bunnies, The Law, no Law, Galatians, Hebrew, Greek, Yeshua, Jesus, Messiah, Christ saved, not saved. It goes on and on. What to believe? How can we know the Truth of The Bible with so many diverse opinions? The only way to know the Truth of The Bible, is to study it diligently, and learn it. The Bible requires serious study. And you must be careful of outside influence. Not every person who quotes The Bible is of GOD. You must make your desire known to GOD in earnest and honest prayer, asking Him to help you understand His Word. Asking Him to reveal the Truth about Him and His Word. GOD knows your heart. And your traditions that you were brought up with may be a handicap. Yet some may be of help to you, maybe. The Bible will tell you what traditions are good, and what traditions are flat-out wrong. Learn of GOD, study Him in The Bible. Grow in knowledge of The LORD your GOD. It takes work and time. It’s a lifetime work. You must diligently study every word, and every verse of Scripture from the Hebrew in the T’Nakh, The Old Testament, and in Greek in The New Testament. A Strong’s Concordance is of great value, along with a good dictionary. You must read and study The Bible from Genesis 1 Verse 1, line upon line, line upon line, and every word, always asking The LORD GOD for His help. And do what GOD tells you. As a point of information, there is no animal sacrifice today because there is no Temple in Jerusalem today. This is Biblical in Leviticus 17.8-9. Do not let your traditions influence you. Look, if your tradition lines up with The Word of GOD, your tradition is fine. But if your tradition is contrary to The Word of GOD in The Bible, lose it. Get rid of that tradition and replace it with the Truth of GOD found in The Bible, The Word of GOD. The Bible is your ONLY source of Truth, always. Be very careful of Bible commentaries. So in order to fear GOD and do what He says, you must learn what He says, in The Bible. The Bible by far is your only source of Truth, not people. As another point of information, The Old Testament NEVER disagrees with The New Testament, and The New Testament NEVER disagrees with what is written in The Old Testament. The Word of GOD is like GOD. It is eternal and never changes. Here are some Scriptures every Bible Believer should know, believe and obey. (2 Peter 3.18) Grow in grace is growing in Messiah’s love, His kindness and His beauty. And grow in the knowledge of Messiah. (Galatians 1.10) Persuade in Greek is PI-THO- meaning obey. So, if you truly want to learn the Truth of GOD from The Bible, and not be swayed by outside influences, GOD will teach you His Truth. But it takes time, and it takes an effort. I find that effort to be a labor of love. Shalom. Our message and teaching this morning will be about Hanukkah, The Feast of Dedication that starts tonight at sundown, and ends eight days from today on Sunday, December 16th at sundown. Hanukkah is an eight day Jewish Holiday, and a very important and joyous holiday in Judaism. And although Hanukkah is not a commanded festival of The LORD found in Leviticus 23, a remarkable and precise prophecy of the events that brought on Hanukkah is predicted in the eighth Chapter of Daniel. So with that said, let’s turn to Daniel Chapter 8 and start with Verse 1. DANIEL 8.1 This prophecy of Daniel that was given to him by The LORD GOD Almighty, was written around 535 B.C.E./B.C. some 370 years before the day Judaism calls Hanukkah, the Feast of Dedication. Hanukkah is about the time the Jewish people were horribly persecuted in Israel by a maniacal Syrian king Antiochus Epiphames during the Hellenistic period. The Hellenistic period, as a point of information, was the time of the great Greek Empire from the death of Alexander the Great in 323 B.C.E./B.C. to 31 B.C.E./B.C. Antiochus Epiphames, the Syrian madman began his historic persecution of the Jews around 171 B.C.E./B.C., and six and a half years later, the Maccabees, with their guerrilla army defeated Antiochus Epiphames and booted the Syrians out of Israel. The Maccabees then entered the Temple, and saw the Torah scrolls torn to bits, statues of Greek gods and goddesses were everywhere throughout the Temple, and the remains of pigs that had been sacrificed on the altar outside the Temple. And immediately, the Jewish people cleansed the Temple and rededicated it to The LORD their GOD. The day was the 25th day of the Hebrew month Kislev, which is tomorrow, in the year 165 B.C.E./B.C. And they lit the great menorah, the seven branch candelabrum. Daniel Chapter 8 predicts the painful events that lead up to this momentous day. DANIEL 8.1 King Belshazzar was the king of Babylon at the time of this writing. Daniel’s vision and prophecy took place when the Jewish people were in exile in Babylon and Persia, today’s Iraq and Iran. The time was some 50 years after The LORD GOD had exiled the Jewish people out of southern Israel. Why? Because of their sins of disobedience to The LORD their GOD and His Torah. GOD’s Torah is His Law of Moses, His teachings, and His instructions. And remarkably, we will find out that the grueling persecution Israel encountered in the days and years that led up to Hanukkah were also because of Israel’s transgression against GOD, violating His Law. That is always the cause for GOD’s anger everywhere. Disobedience to Him. A prophetic vision or dream from GOD is about future events that will come to pass. This vision is about the heartbreaking events that led up to Hanukkah. Earlier Daniel had a vision of four beasts, and that’s recorded in Daniel Chapter 7. DANIEL 8.2 Shushan was one of the capital cities in Persia where there was a winter palace for the great Persian kings. And Daniel was by the river Ulai when he saw this visioin. Elam was a province in Persia. DANIEL 8.3 The ram is explained later in the prophecy as symbolizing the great Persian empire of 2,500 years ago. The two horns allude to the kings of Persia and Media. The Persian empire included today’s Iran, the countries of India to Ethiopia, and all the Middle East including Israel. And the two horns on the ram, I believe the one that was higher than the other is symbolic of Cyrus the Great, the king of the Persian Empire. And this prophecy was given before Cyrus was even born. DANIEL 8.4 Meaning no army could stand against the mighty Persian armies. Persia, under Cyrus the Great, had conquered the Babylonian Empire in 539 B.C.E./B.C. DANIEL 8.5 The he goat symbolized Greece. The notable or great horn is symbolic of Alexander the Great. DANIEL 8.6-7 The ram, or the Persian Empire was defeated and conquered by the Greek armies led by Alexander the Great who was 20 years old at the time when he demolished the armies of Persia. And keep in mind, this prophecy The LORD gave to Daniel took place some 200 years before Alexander The Great was born. DANIEL 8.8 Greece became a powerful empire. The great horn that was broken symbolizes the death of Alexander the Great. He died at the early age of 33. In his place, four prominent horns emerged symbolizing four kingdoms that were ruled by four of Alexander’s generals after his death. The two key players, or the two key generals in this sequence of events were Ptolomy who ruled Egypt, and Selecus who ruled Syria, Israel, Babylon, and Phoenicia which is modern-day Lebanon, and part of Syria. DANIEL 8.9 This little horn is not the future anti-Christ. An anti-Christ is one who opposes the Messiah Yeshua Who is GOD Almighty, Yehovah. This little horn, however is Antiochus Epiphames who was the king of Syria from 175 to 164 B.C.E./B.C., who persecuted the Jews and abominated the Temple that led to Hanukkah, The Feast of Dedication. The anti-Christ of the near future will be a lot like this Antiochus Epiphames because they are both satanic and hate the Jews. And listen to this. GOD directed Antiochus Epiphames to the pleasant land, Israel because of Israel’s transgression against The LORD their GOD, The GOD of Abraham, Isaac and Jacob, Who is Yeshua The Messiah. Israel’s transgression is revealed in Verse 12. DANIEL 8.10 And yes, because of GOD, Antiochus the madman became great. The host of heaven and the stars spoken of in this passage represent the Jewish people whom Antiochus stomped on, persecuted and killed, and sold into slavery. satan is the king of anti-Semitism. DANIEL 8.11 Antiochus magnified himself, even to The Prince of the host, Who is GOD Almighty, The Holy One of Israel, Who is Yeshua The Messiah. Antiochus was pride on steroids calling himself Theos Epiphames, GOD manifested. He brought the daily sacrifice to an end. The place of the Sanctuary, the Temple, was cast down because he polluted the Temple with pagan worship, idolatry, pig sacrifices, and he destroyed the Torah Scrolls. And he dedicated the Temple of GOD to his Greek gods Olympia and Zeus, and forbid the practice of Torah, GOD’s Law of Moses that contain GOD’s Laws, His Teachings, and Instructions. Think for a moment what happens when a person, who is Jewish or non Jewish, and forsakes GOD’s Law of Moses, and makes His Law void in their life. How does GOD see that person? Does that person love GOD and GOD’s Commandments, His Laws, His teachings and instructions? DANIEL 8.12 This Verse 12 is evidence that GOD’s Laws must be obeyed. From the time GOD said to Adam and Eve, don’t eat that fruit, to today and forever GOD’s Laws must be obeyed. And Adam and Eve were not Jewish. Disobeying GOD is transgression against GOD, and the Jewish people paid the price with Antiochus Epiphames and his brutality. Look what followed Adam and Eve’s disobedience to GOD; curses, troubles, death, etc., etc., etc. Believers in Messiah. This is Biblical teaching from Genesis through Revelation. Deuteronomy 32.1, etc. The Jewish people went through their grief with Antiochus Epiphames, whom GOD raised up for this judgment, because of their transgression against The LORD their GOD. All trouble comes because of disobedience to GOD. It’s that simple. These words were spoken by the prophet Samuel some 800 years before Hanukkah, and some 3,000 years ago from today. They applied then, and they apply today and always. The prophet said, fear The LORD, serve Him, and obey His Voice, and don’t rebel against the Commandments of The LORD. Today we have Messiah Yeshua Who is our Atonement for the forgiveness of all our transgressions. BUT STILL, The LORD GOD requires us to fear GOD, serve Him, and obey His Voice, and not rebel against the Commandment of The LORD. That is repentance, turning to The LORD your GOD. DANIEL 8.13-14 A saint is a holy person of GOD. Perhaps angels in this scene. 2,300 days would be about 6 1/2 years. Thus the persecution of the Jews at the hand of Antiochus Epiphames would last 6 1/2 years. And then the Temple will be cleansed and made right for The LORD. And the Jewish people would declare that day Hanukkah, or dedication. DANIEL 8.18-19 GOD’S indignation, His fury and anger against His chosen people, the Jewish people was because of their sin, violating GOD and His Law of Moses. The Hanukkah story is a lesson for everyone. And The Bible reads in Verse 19, For the time appointed, the end shall be. Yes, GOD Himself appoints the end of all things, the beginning and everything in between, for His purpose. He will do it. DANIEL 8.20-23 The four generals, after Alexander the Great died received their power from GOD. All power is from GOD. And the transgressors were Israel, the Jewish people who were persecuted by pagan transgressors, Antiochus and his crowd. And GOD used Antiochus as His tool of punishment against His people. And GOD raised up Antiochus for just that purpose. That is a lesson for everyone. Not only Jewish people, but everyone. Understanding dark sentences, I think means that Antiochus Epiphames was a fraud. He was deceitful, a liar, crafty and cunning. The attributes of satan. Antiochus was a snake. And Verse 23 reads, a king, who turned out to be the Syrian king Antiochus Epiphames, shall stand up. That means Antiochus was appointed by GOD. DANIEL 8.26-27 No one understood the vision then. But today we understand it because it is recorded history. It happened some 2,200 years ago. And as Ecclesiastes 1.9 reads, there is no new thing under the sun. The Maccabees, Judah Maccabee, and Jonathan, Yohanan, Eleazer and Simon formed a guerrilla army of fighters and defeated Antiochus and his Syrian army, and tossed them out of Israel. And the Jewish people returned to the Temple and cleansed it of the pigs and idols, and rededicated it to The LORD their GOD, the Mighty GOD of Jacob. And they lit the great menorah, the seven branch candelabrum. And tradition has it that there was only enough holy oil for the menborah to remain lit for one day, but miraculously it burned for eight days. And since that time, we have celebrated Hanukkah for eight days each year in commemoration of the triumph of GOD Almighty. And GOD Almighty has a Name. Yeshua The Messiah. He is Jehovah. There’s a huge lesson to be learned in the Hanukkah story for everyone, whether you are Jewish or not Jewish. Especially for all who are Believers in The Messiah Yeshua, Who is The Son of GOD, and Jehovah Himself. And the lesson is this, and The Bible repeats it over and over again. Refusing to obey GOD’s Torah which is His Law of Moses that includes GOD’s teachings and instructions, refusing to obey GOD’s Torah will certainly bring troubles into your lives, sometimes huge troubles. But when you obey GOD’S TORAH THAT IS WRITTEN IN THE BIBLE, and not rebel against Him, GOD will certainly bless you. His blessings will come upon you and overtake you. They will literally take hold of you. And The LORD will set you on high above all the peoples of the earth. And with your faith in Messiah Yeshua, which is also obeying Torah, Deuteronomy 18.15-19, etc., you will continue to follow GOD, and The LORD will bless you with everlasting life in Heaven with Him. Many say, and teach The Law of Moses is not in force today. Wrong. The Law of Moses is in force today and forever for everybody. Shalom. Our teaching this mornng will be from Exodus 14.13-18. When I read these verses of The LORD GOD opening the Red Sea for the children of Israel to cross on dry ground to escape the onslaught of the mighty Egyptian Armies who were expecting to kill the Jews and wipe them off the face of the earth, and GOD having different plans by repaying those Egyptians and killing them all, and closing the ocean on them, and drowning them in the sea, and Israel seeing the Egyptians dead on the seashore, I realized that not only was the Exodus of the Jewish people out of Egypt part of GOD’s plan for Israel, it was also part of GOD’s plan for Salvation. The Bible teaches us that GOD’s works, that is everything GOD purposes, everythng He intended, and everything He designed throughout history were completed and finished before the world was created, before He created the heavens and the earth. And we are merely carryng out GOD’s universal plan exactly as He planned it. Those words of predestination are found in Hebrews 4.3. HEBREWS 4.3 We that believe in Messiah Yeshua according to GOD’s Biblical teaching, believing in Messiah Yeshua and observing His Law of Moses, will enter into rest. That is eternal life in Heaven forever with rest, quiet and peace, in GOD’s rest. And, although GOD’s works were finished from the foundation of the world; that is everything GOD intended and designed for history and Salvation, were completed before He created the world. Thus we are carrying out GOD’s plan exactly as He planned it. So when did GOD’s plan for Salvation and history start? Remember, Salvation is being saved by The LORD GOD, and being delivered from the consequences of sin, and having everlasting life in Heaven with The LORD GOD Yeshua The Messiah. And history can be described as the past, present, and future in connection with the human race, and the events that shape the course of the world. So when did GOD’s plan for Salvation start? In Genesis 1.1. GENESIS 1.1 Genesis Chapter One opens the word of GOD, The Bible with an account of GOD’s Creation of the world, establishing Him as the Sovereign of the universe with great majesty and power. That GOD is Yehovah in Hebrew, or Jehovah in English, Who the same is Yeshua The Messiah, and that everything came into being at GOD’s command. This is the beginning of the fulfillment of GOD’s plan of Salvation, and His plan for history. And of course key to His plan is humanity. GOD created the human race starting with Adam and Eve. Adam in Hebrew is AHDAHM meaning human being, while Eve in Hebrew is KHAHVAH meaning life-giver. And GOD created them sinless, to have everlasting life, not to die. But something happened along the way. Disobedience to GOD, which is sin. All part of GOD’s plan. The Bible tells us why GOD created humanity. And here are just a few. First, GOD created mankind in His image, that is in His likeness with many of His qualities; love, sadness, joy, anger, etc. And He created us to know Him, and to love Him. Those are just some of the reasons GOD created the human race. A very important part of GOD’s plan for Salvation and history is that GOD requires all humanity to obey Him, to do all the words of His Law. And His special people are those who obey Him. The Hebrew word for law is torah. Torah means not only law, it means teaching and instruction. Thus GOD’s Torah that is written in The Bible is His Law, His teaching, and His instruction which GOD calls The Law of Moses. And from the very beginning of time, GOD requires obedience to Him, or else. Everyone knows the story of the first two humans, Adam and Eve when disobedience to GOD began. And like Adam and Eve, most everyone disobeys GOD. And that is a very important part of GOD’s plan for Salvation and history. But GOD shows His love for us in their act of disobedience, and our acts of disobedience, with atonement. The animal sacrifice initially for the forgiveness of sins, and Messiah Yeshua being our ultimate atonement for the forgiveness of our sins. GENESIS 2.15-17, GENESIS 3.1-6, and the curses, and death follow because of disobedience to GOD. GOD brought the flood upon the world (it wasn’t mother nature) beause of man’s disobedience to Him. And in the end of days, GOD will destroy the world for the very same reason, man’s disobedience to GOD Almighty, the Sovereign of the universe, Isaiah 24. But GOD teaches us a lesson about Noah that saved him and his family. GENESIS 6.5-9, VERSE 5 wickedness and evil come from the Hebrew word RAH meaning wrong, evil, bad, wickedness, etc., all because of disobedience to GOD, to His Torah, His Laws, His teachings, and His instructions. VERSE 9 But Noah was just and perfect. Noah walked with GOD. He obeyed GOD. And GOD saved him and his family. And that is GOD’s teaching and instruction for His plan of Salvation in your life and mine; obedience to Torah will bring you blessings and eternal life in Heaven. No one but GOD knows the exact time of the flood, but a writing in Judaism called seder olam dates it to be some 1,656 years after the Creation. So why is Salvation from the Jews? Because: GOD’s Torah, His Law of Moses, His teachings and instructions were given to the Jewish people by GOD for the Jewish people to live in them. And likewise, the Jewish people, through GOD’s written Word in The Bible, gave GOD’s Torah to the nations to also live in His word. The very same Word He gave to the Jewish People. And unto the Jewish people, GOD gave Yeshua The Messiah in the flesh to be His Salvation to all the world. Salvation is from the Jews, and that’s why a safe exit out of Egypt is so much part of GOD’s Plan of Salvation. the world comes with conditions. And those conditions were laid out by GOD when He brought the Jewish people out of Egypt. The conditions? Receive the atonement GOD provided to the Jewish people. That atonement today is Messiah Yeshua. And that the stranger, the non-Jewish person MUST obey GOD’s ordinance, or GOD’s Torah He gave to the Jewish people. MARK 13.22 Beware of false teachers, and religious imposters that teach you differently and lead you astray from the truth. And that is also part of GOD’s plan of Salvation. ACTS 7.37-38 The Jewish people are not part of any church (KJV) or ever will be. The Jewish people are not a church. They are GOD’s Congregation or Assembly. Moses spoke to the children of Israel about the coming promised Messiah Yeshua Who would be like Moses. He would be Jewish, a Prophet, a Lawgiver, Yeshua is GOD The Lawgiver. And like Moses, The Messiah will be Israel’s King, a Mediator, and a Deliverer, meek and humble and would obey every word GOD spoke, as Moses did, and as did Yeshua. Also, a very important part of GOD’s Plan of Salvation for Gentiles is to bless the Jewish people. And that will result in eternal life in Heaven for those non-Jewish people who bless Israel and the Jews. Another important part of GOD’s Plan of Salvation is to witness the Truth. And very few know the Truth. The Truth is this. There is only one GOD, and Messiah is that one GOD. And we must obey Torah. And know and understand that Yeshua was sent by GOD, and that Yeshua the Messiah is Jehovah, the One God. Another very important part of GOD’s Plan of Salvation is for The Messiah Yeshua to be GOD’s Servant to raise up the tribes of Jacob, or Israel, to turn the Jewish people to GOD and their Messiah Yeshua, and to restore the preserved, that is to turn the preserved of Israel to GOD their Messiah. And Messiah is to be a light to the Gentiles. That is, to turn the Gentiles to Messiah, and He will teach the Gentiles to obey GOD’s Torah. That Yeshua is GOD’s Salvation to the entire world. Also part of GOD’s Plan of Salvation is that GOD will save many unsaved Jewish people after The LORD returns and sets up His Messianic Kingdom in Israel, the 1,000 year Millennium. Many Jewish people like me have been saved before Messiah’s return. And many unsaved Jewish people will be saved after He returns. And we the servants of GOD, will praise our GOD, and all that fear Him, because our GOD reigns. Quite frankly, the entire Bible is GOD’s Plan for Salvation, and for all history. Heaven is the fulfillment of His Plan which never ends. And Salvation brings blessings and everlasting life in Heaven with rest, quiet, peace, and joy. And it is important to know that Salvation is from the Jews.